Mightybytes has been named a 2017 Illinois Sustainability Award winner along with 21 other companies and organizations for serving “as a model of environmental stewardship for residents, businesses, and institutions” throughout the state. 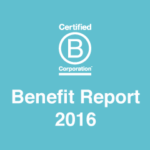 These Illinois organizations, who have worked hard to make their products and services more sustainable, include large companies, educational institutions, small businesses, nonprofits, and civic institutions. The Illinois Sustainability Award is the longest running environmental award program in the country and we are honored to be recognized. 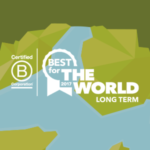 For Mightybytes, this award came on the heels of receiving Best for the World acknowledgement from B Lab and our highest score ever on B Corp certification, so we’re on a roll. We were presented with this award because of our dedication to improving the internet’s environmental impact. The internet generates more greenhouse gases than most industries and uses as much electricity as a country the size of Germany. 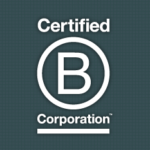 As a digital agency and Certified B Corp, our goal is to make the digital products and services we build as efficient as possible and powered by 100% renewable energy. Our efforts have included educational campaigns, materials like books and websites, workshops and conference presentations, and a free online tool called Ecograder, which allows users to see how green their website is. We also walk the walk by offering hosting services powered by 100% renewable energy and using more sustainable design and development practices when building websites or other digital products. Our book on this topic—Designing for Sustainability: A Guide to Building Greener Digital Products and Services—was published by O’Reilly Media in 2016. Unlike other industries, there are currently no sustainability standards in place for the web, so it is up to organizations like Mightybytes and other triple bottom line businesses to take the lead on this. We hope our educational outreach can have an impact on how people view the internet. Visit Ecograder today to find out if your website is environmentally friendly. Contact us today for more information about how we can help improve your web sustainability.